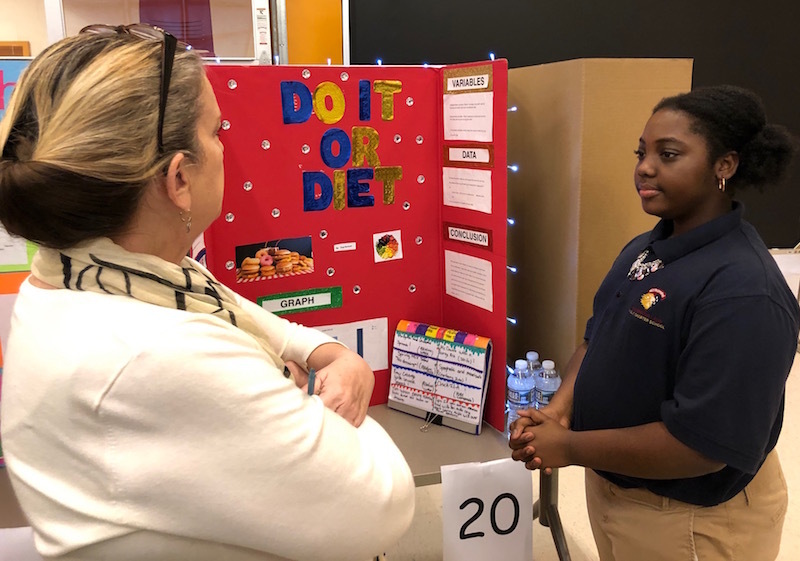 This week the fifth and sixth graders presented their scientific research at the annual middle school science fair. They worked in their classrooms to develop hypotheses, design a study, conduct research, and evaluate the results. Meanwhile several older middle schoolers worked independently on their own experiments. Eighth grader Meerabela Kempf and seventh graders Lucas Rohde, Cecilia DeStefano, and Carrie Roberts participated as well. The annual event helps students understand the scientific method that researchers use to better understand our world.